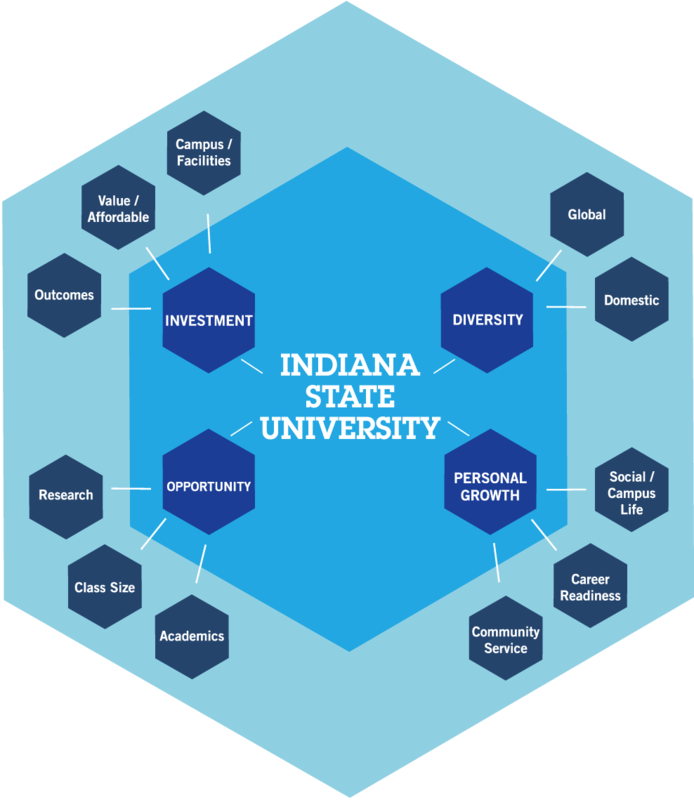 For more than 150 years, Indiana State University has prepared a diverse student body for real-world opportunities and served a global community. Our commitment to inclusivity provides an inspiring environment for all who seek a college degree and ensures every student has access to an affordable education. Our academic experience, rooted in hands-on learning, focuses on personal growth and developing skills essential for success in the classroom and beyond. There's More to Blue. Value/affordability: State is annually ranked by Forbes magazine as one of “America's Top Colleges,” by Princeton Review as among the “Best in the Midwest” and by Carnegie Foundation as a doctoral research institution. Outcomes: Personal connections to faculty and alumni, programs offered to meet today’s economy, and career competencies built into our curriculum offer limit-less opportunities for students. Campus/facilities: Our Tree Campus USA spans 400+ acres with strategically allocated green space that has earned honors for sustainability. Students benefit from state-of-the art labs and well-equipped learning spaces and enjoy a modern fitness center and 13 residence halls from studio to quad style living. Academics: We offer nearly 300 academic programs for students on campus and online, including distinctive programs such as unmanned systems/aviation, athletic training, Networks program, BEST program, Student Media and genomics. Class size: It's private school attention at the public school price. Indiana State offers instruction in classes that averages 20:1, meaning students aren't going to be in an auditorium full of undergraduates and being taught by a graduate student. Small class sizes mean you can develop meaningful relationships with faculty and network with alumni. Research: Students don't have to wait until graduate school to conduct meaningful research with faculty; oftentimes, it's in their freshman year. Many Sycamores are invited to present their findings — and network with other researchers — at academic conferences. Domestic: Our dedication to diversity dates back to 1870 when State admitted its first African-American student as part of its first class of students. Our African and African American Studies program is the first of its kind in the Midwest and one of the oldest in the country. 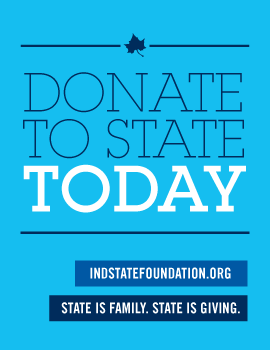 Indiana State’s student body hails from rural communities to large cities, nontraditional students who desire to continue learning to first-generation college students. Global perspective: Indiana State’s classrooms are not confined to our campus. Faculty — including Fulbrights — are trained around the world, and we are focused on facilitating studying abroad because of the personal and professional benefits. A robust international community from more than 70 countries brings valuable perspective to campus and illustrates how Indiana State has an essential role in the global dialogue. Social/Campus Life: Students can make their mark on campus — and/or create new opportunities out in the world as alumni. Learning communities within our residence halls also promote learning outside of the classroom. More than 250 student organizations and nearly 30 sororities and fraternities offer the chance to practice leadership or build lifelong friendships. Career readiness: State is dedicated to helping students turn their dreams into reality by ensuring job readiness skills and career competencies are built into our curriculum. We strive to connect students with internships and other hands-on learning opportunities throughout their time on campus. New programs are developed regularly to meet industry needs and today's economy. Public Service: We are committed to investing and giving back to the community — both as being stewards of the public trust, and as a learning experience and opportunity for personal growth. Each year, we clock more than 1.2 million hours of community service and are annually recognized by Washington Monthly magazine as one the top ranked universities nationally for service.